Meet new UVP Network member: Dan Berman, Vice Provost for Undergraduate Studies, Temple University. Daniel Berman is Vice Provost for Undergraduate Studies and Professor of Greek and Roman Classics at Temple University. Dan brings to his position a vision that is focused on shaping Temple’s undergraduate curriculum to cultivate the knowledge, skills and abilities that will help Temple students succeed during and subsequent to their time on campus. His breadth of experience and his ability to work across schools and colleges are integral to framing a collaborative approach to the future of undergraduate studies at Temple. Trained as a classicist, specializing primarily in ancient Greek literature and myth, Dan is a well-respected scholar. He has published two books, the most recent with Cambridge University Press, articles in flagship American and international journals, and chapters in edited volumes. Having taught a wide variety of courses in classical languages and culture, as well as in the general education and honors programs, Dan is known for his enthusiastic nature and innovative and passionate teaching. As a member of the provost's senior staff, Dan provides leadership on all matters related to undergraduate studies, including General Education, Honors, Career Services, student advising, retention and graduation initiatives, and academic policy and support. Dan earned his BA from the University of Michigan and a PhD from Yale University. Prior to joining the Temple faculty in 2009, he was a tenured faculty member at Pennsylvania State University. He has also served as Andrew W. Mellon Professor-in-Charge at the Intercollegiate Center for Classical Studies in Rome. Before his appointment as Vice Provost, he was chair of the Greek and Roman Classics department and Director of the Intellectual Heritage Program, a set of humanities courses that comprise a foundational component of the General Education curriculum. Dr. Lohe first came to the Reinert Center for Transformative Teaching and Learning at Saint Louis University in September 2009, as Program Director for Teaching Enhancement; she was appointed director in July 2011. She came to SLU from Washington University in St. Louis, where she served as Director of Writing Courses and Program Administrator for first-year writing in the Department of English. In those roles, Debie designed, implemented, and assessed curriculum at the program and course level; mentored graduate student teachers and part-time faculty; consulted on academic integrity cases; and oversaw the daily operations of the program, among other things. For almost twenty years, she has taught writing, literature, Women's Studies, and education courses to undergraduate and graduate students. She also has almost ten years of experience working in information technology in a medical environment. Meet new UVP Network member, Mary Kraus, Vice Provost and Associate Vice Chancellor for Undergraduate Education, University of Colorado, Boulder. Mary J. Kraus is Vice Provost and Associate Vice Chancellor for Undergraduate Education at the University of Colorado Boulder. She joined the faculty at the University of Colorado Boulder in 1983 after earning her PhD in geology. Prior to her current position, Kraus was Chair of the Department of Geological Sciences from 2003 to 2009 and Associate Dean for Natural Sciences in the College of Arts & Sciences from 2012 to 2016. In her current role, Kraus oversees campus-wide academic programs, including the Special Undergraduate Enrichment Programs, the Leadership Residential Academic Program and its partner Ethnic Living and Learning Community, the Top Scholarship Advising and Campus Assessment Office, the Student Academic Success Center, the Presidents Leadership Class, the Office for Student Success, and three ROTC programs. She also leads key campus student success initiatives and is involved in the development of recruitment and student support strategies that will enable CU-Boulder to recruit and retain a highly competitive and diverse undergraduate student body. Kraus is a sedimentary geologist whose research focuses on using sedimentary rocks to interpret ancient climates and past climate change. She is particularly interested in understanding changes to the paleohydrologic cycle in response to geologically-rapid episodes of dramatic global warming that took place 55 million years ago. Dr. Kraus served as president of the Society of Sedimentary Geology in 2007-08 and is currently a member of the governing board of the Geological Society of America. Outside of her professional activities, Kraus relishes hiking and biking and is an avid reader of mysteries, Civil War history, and British early modern drama. She also enjoys attending the theatre including the CU summer Shakespeare Festival. Meet new UVP Network member, Ed Taylor, Vice Provost and Dean of Undergraduate Academic Affairs, University of Washington, Seattle. Many thanks to Buck Goldstein for his fireside talk at the Reinvention Collaborative National Conference on his and Holden Thorp’s new book. The Reinvention Collaborative welcomes Kent State University! Enrollment on the campuses of Kent State University at Ashtabula, Kent State University at Trumbull and Kent State University at Tuscara was also improved. Meet new UVP Nework member, Bethany Usher, Associate Provost for Undergraduate Affairs, George Mason University. "Dr. Usher will work in partnership with students, faculty, staff, academic deans and senior university leaders to develop, direct and evaluate undergraduate academic initiatives and policies. Taking ideas to action will be a critical part of this role, and she will collaborate across Mason to lead strategic university itiatives and respond to evolving academic issues." Her decision is based on her focus to be forward facing, student-oriented, and service minded. We here in OSCAR are proud of Dr. Usher's accomplishments and are excited to be working with her to continue Mason's campus-wide promise of innovative learning. The Reinvention Collaborative is delighted to welcome Emory University! Meet new UVP Network member, Beth Hume, Vice Provost, Enrollment Services and Undergraduate Studies, and Dean of Undergraduate Education, The Ohio State University. Elizabeth (Beth) V. Hume, PhD, returned to Ohio State to serve as Vice Provost and Dean of Undergraduate Education on October 1, 2017. In June 2018, the Office of Academic Affairs announced that Enrollment Services would be merged with the Office of Undergraduate Education under Dr. Hume's leadership. Prior to her current positions, she had joined Ohio States faculty in 1991 and, from 2006-2011, she served as professor and chair of the Department of Linguistics. Dr. Hume previously served as head of the School of Language, Social and Political Sciences, dean international of the College of Arts and professor of linguistics at the University of Canterbury in Christchurch, New Zealand. At Ohio State, she taught undergraduate and graduate students at all levels. Dr. Humes research has focused on diverse factors that shape language sound systems from a range of disciplines including linguistics, psychology, computer science and mathematics, and her work is widely published. She is the author or co-author of five books and more than 50 papers, editor of 16 books and, since 2008, she has served as the associate editor of Phonology. Her extensive service to the university included spearheading the creation of the Buckeye Language Network to facilitate language-related initiatives among more than 60 Ohio State faculty conducting research in the language sciences. In addition, she served on the University Senate and was a core member of the Committee on the University-Wide Review of Undergraduate Education, giving her a particular understanding of the relevance of the universitys current review of the General Education curriculum (Gen Ed) underway. Her professional memberships include the Association for Laboratory Phonology, the Canadian Linguistic Society, the New Zealand Linguistic Society and the Linguistic Society of America. Among her contributions to the University of Canterbury, she helped reorganize a college structure into two large schools and developed administrative systems for the schools. Dr. Hume also provided oversight to establish and maintain international partnerships, e.g., exchanges and study-abroad programs, and oversaw the development of international strategic and operational plans that fostered and supported student recruitment and retention initiatives. She earned a BA (Hons) in French languages and literatures, Universit Laval, Quebec, Canada; an MA in French, McMaster University, Hamilton, Ontario; and an MA and PhD in linguistics from Cornell University. The Reinvention Collaborative is delighted to welcome new member, the University of Illinois, Chicago! Chicago's Public Research University: Located in the heart of one of the world’s great cities, the University of Illinois at Chicago is a vital part of the educational, technological and cultural fabric of the region. As Chicago’s only public research university with 30,000 students, 15 colleges, a hospital and a health sciences system, UIC provides you access to excellence and opportunity. What a great UVP Meeting at the University of Texas, Austin! The University of Texas at Austin will host the spring 2018 meeting of the Reinvention Collaborative’s UVP network, a national network of Vice Provosts and Vice Presidents for undergraduate education. The three-day meeting will highlight the first-year experience, advising, the major selection process, and the general undergraduate curriculum. The event will begin Thursday, June 7 with a board meeting followed by a workshop for new members. That evening, attendees will be welcomed by UT President Greg Fenves. Friday’s activities feature panel discussions on topics like First-year Interest Groups and strategic advising. Visitors will also tour the Forty Acres to visit the offices of the Discovery Scholars Program, the Sanger Learning Center, research centers, and the Academy of Distinguished Teachers, among others. The program concludes on Saturday, June 9. 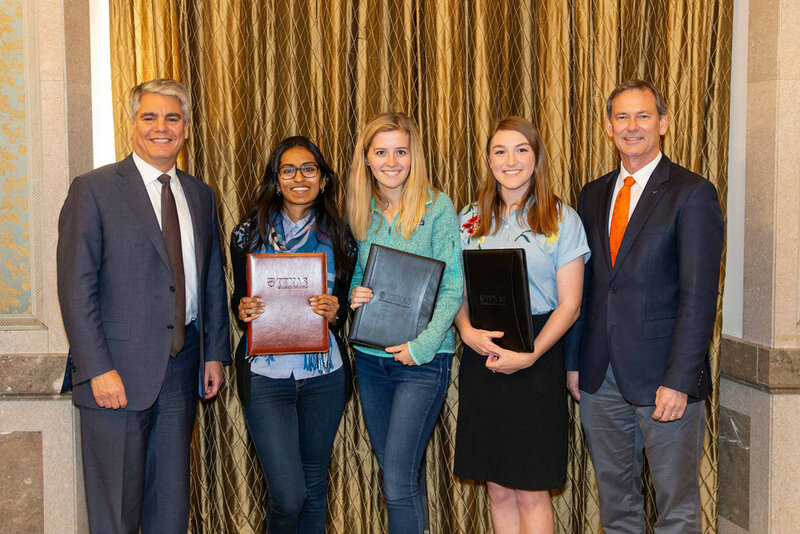 UT Austin President, Gregory L. Fenves, flanked by UT undergraduate students and Brent Iverson, UT Austin Dean of Undergraduate Studies. Meet Sandra Kelly, Vice Provost & Dean for Undergraduate Studies, University of South Carolina. Sandra Kelly was born and raised in Sault Ste. Marie in Northern Ontario and received her Ph.D. from McGill University in neuroscience in 1985. Her postdoctoral training was at the University of Iowa and SUNY Albany prior to assuming a faculty position at the University of South Carolina in 1988 where she has been ever since. Her teaching has included a range of courses from introductory psychology to introduction to neuroscience to drug use and abuse to advanced graduate courses in neuroscience. Her research has examined the impact of alcohol exposure during development on the brain and behavior and how different drug treatments can alleviate the effects seen in Fetal Alcohol Spectrum Disorders. More recently her research focus has been on the neural bases of consciousness, happiness and meditative states. Dr. Kelly’s research has been funded by a number of federal agencies and foundations. Her extensive service to the university includes being Chair of the Faculty Senate, Undergraduate Director and Graduate Director in the Department of Psychology, serving on the University Committee on Tenure and Promotion, and serving as an Associate Dean in the South Carolina Honors College. Dr. Kelly has been the recipient of a number of teaching, mentoring and research awards including being awarded the Carolina Trustee Professorship for having strengths in teaching, research and service. She is currently serving as the Vice Provost and Dean of Undergraduate Studies at the University of South Carolina. Meet new member, Jessica Waters, Dean of Undergraduate Education & Vice Provost for Academic Student Services, American University. 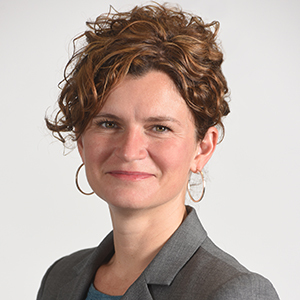 Jessica Waters is the Dean for Undergraduate Education and a faculty member in the School of Public Affairs as well as an adjunct faculty member at the Washington College of Law. Her research focuses primarily on reproductive rights law. Her recent work has explored questions related to the legal impact of women’s medical decisions during pregnancy and childbirth, employment-based conscience protections for reproductive health care providers, and the reproductive rights of employees working for religiously affiliated employers. Her work has been published in the Harvard Journal of Law and Gender, the American University Journal of Gender, Social Policy and the Law, the Yale Journal of Law and Feminism, and the Stanford Journal of Civil Rights and Civil Liberties. Prior to joining to joining the AU faculty full-time, Professor Waters was an adjunct professor at Washington College of Law and a litigator at WilmerHale, where she specialized in criminal defense litigation, internal investigations, and reproductive rights litigation and advocacy. She also clerked for the Honorable Emmet Sullivan on the D.C. District Court. Professor Waters previously worked at a non-profit organization dedicated to protecting access to reproductive health care. Professor Waters also previously served on the Children's Law Center Advisory Board, and as a guardian ad litem in the D.C. courts. Welcome to new member, Paul Kreider, Vice Provost for Academic Strategies, Curriculum, and Assessment at West Virginia University. As vice provost for academic strategies, curriculum, and assessment at West Virginia University, Dr. Paul Kreider provides the leadership and vision to create, implement and manage the strategic direction for education on all campuses of WVU, including the main campus in Morgantown, WVU Tech in Beckley and Potomac State College in Keyser. In his previous role as dean of the WVU College of Creative Arts, Kreider enriched the college’s curriculum by adding several academic programs, including Musical Theatre, Music Industry, Music Therapy and Dance. He also significantly enhanced the college’s facilities. Kreider worked with faculty and staff in the School of Art & Design to open the Art Museum of WVU and the Nath Sculpture Garden and oversaw the conceptual design of the ongoing expansion of college’s main facility, the Creative Arts Center. Additionally, he created a vibrant arts outreach program in the college and revitalized recruitment, resulting in a dramatic increase in enrollment. The fall 2017 entering class of CCA majors is projected to be the largest in decades. Kreider joined West Virginia University as dean of the CCA in July 2011. He previously served as dean of the College of Fine Arts and Communication at Western Illinois University; chair of the Department of Music at Northern Kentucky University; associate dean of the College of Fine Arts at the University of Nevada, Las Vegas; chair and assistant chair, coordinator of Vocal Studies and director of Opera Theater at the School of Music at the University of Nevada, Las Vegas. Kreider’s work as an administrator follows a very successful career as a recording artist and performer. As a professional baritone, he sang with renowned operatic companies and symphony orchestras and appeared on stages around the world. The Reinvention Collaborative welcomes Iowa State University! Iowa State features numerous innovative programs, including ISCORE/NCORE. Japannah Kellogg, director of the Student Support Services Program, is one member of Iowa State's staff who makes the trip to the National Conference on Race and Ethnicity (NCORE) every year. This year's trip was the first week of June. "I think you can have conversations around race but not that many people are comfortable having conversations around race," Kellogg said. Iowa State takes 20 students to the conference, and they can only attend once. Kellogg said each year is different because each group experiences it for the first time. Part of the experience is learning about an ethnicity that is not their own. Some people questioned having students learn about someone else when they don't even know themselves, but Kellogg said students say they learn about themselves by first learning about someones else's struggles. The point of attending the conference is to influence how leaders address race. For some students, it's implemented in current leadership, such as a Community Adviser in the dorms. Some will use it later, as educators in their own classrooms. "It is, and is not, about these 20 [students]," Kellogg said. "It's about the 30,000 who can't go." Iowa State also takes professional staff from across disciplines and departments to learn from the conversations at NCORE. Kellogg said it's staff participation that will make a difference to Iowa State's cultural climate. 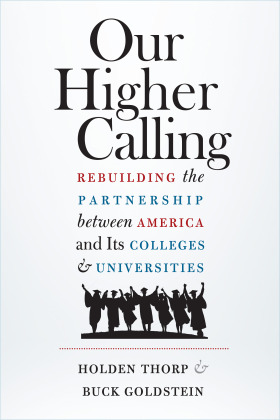 "This is a thinktank of issues that happen on college campuses," Kellogg said. Kellogg said staff, from the new president down, has to be aware of the campus climate and that students are hurting. They come concerned about the safety of the families they leave behind. Kellogg said some students may have been the only English speaker in their family and were the family translator, or their parents have stopped driving out of fear and now don't have a way to get around. They come to campus to unpack those feelings and experiences. "That's real," Kellogg said. "Staff has to recognize that and move our students from a place of trauma to a place of resiliency." Despite coming from different regions, Kellogg said many of the conversations around race in higher education are similar because of social media. The location of the conference also brings new awareness to those attending. One example Kellogg gave was San Francisco, which has a noticeable homeless population that isn't seen in Iowa. A college campus is where those conversations should be happening, Kellogg said. "For the first time, students are more aware of their surroundings," Kellogg said. "And more aware of where they came from." Iowa State is a predominantly white institution, and Kellogg said diversity comes from pockets. Kellogg works with first-generation and low income students, which is a mixed race group and is not just for racial minorities. Iowa State gets some recognition at NCORE, particularly with the involvement of Tom Hill, former administrator, and starting a spirit day at the conference. They're also known for ISCORE, the Iowa State Conference on Race and Ethnicity. Because of that Kellogg has advised other institutions in starting their own campus conferences to talk about race. "A lot of people wanna have what we have," Kellogg said. Kellogg tells them to capitalize on whatever they already have to start the conversation on their campus. Kellogg plans to propose a way for Iowa State to expand the conversation as well. Kellogg called it "Beyond ISCORE." One way to bring the conversation out the rest of the year, not just around the conference, would be to hold discussions after lecture program events.